of the Muslim people of Palestine." Quds Day is a day Muslims from all around the world show their support for the oppressed Muslims of the world and in particular Palestine. 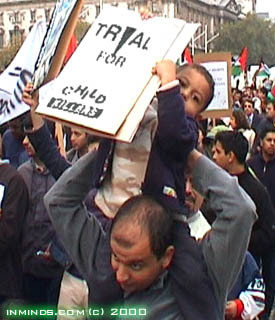 Rallies are held in every capital of the world. Please come to the rally - your presence DOES make a difference! We should be inspired to attend by remembering Br. Nurettin Sirin. He is currently imprisoned in Turkey for 17 and a half years for helping the Quds Day Rally in Sincan in 1997. Seventeen and a half years and yet he has no regrets - how much are we prepared to sacrifice? Surely we can all spare just one afternoon? Meeting point: Marble Arch, Hyde Park Corner. March will set off at 11:45 am sharp and culminate at Whitehall Place. Rally at Whitehall Place on arrival. Rally starts at Queen's Park followed by a march to the American Consulate. 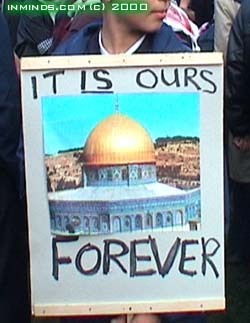 For BERLIN the Quds Day Rally was on Sat 8th Dec 2001.